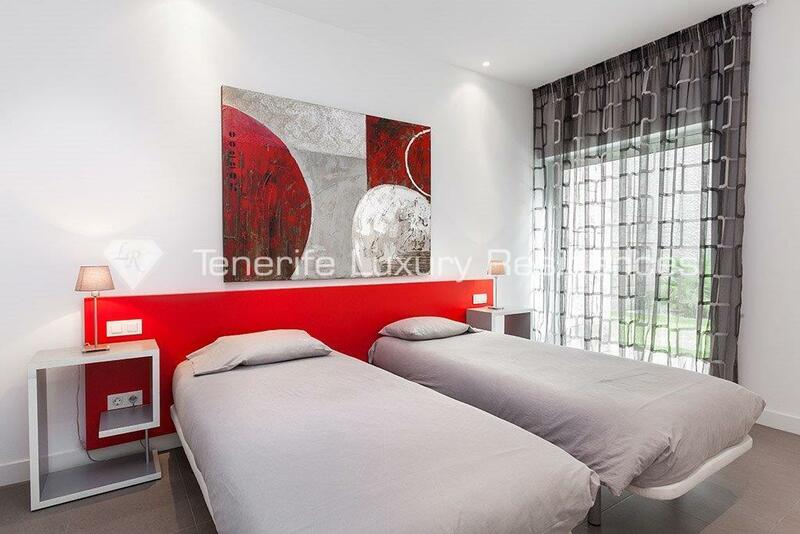 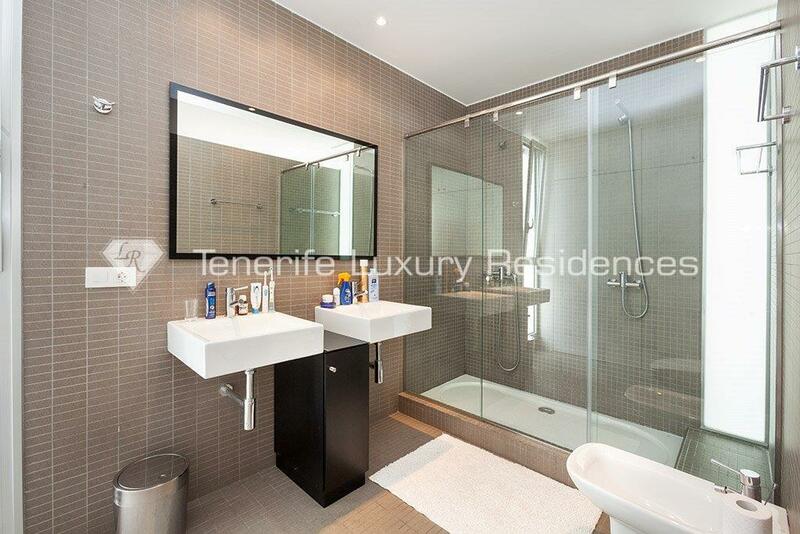 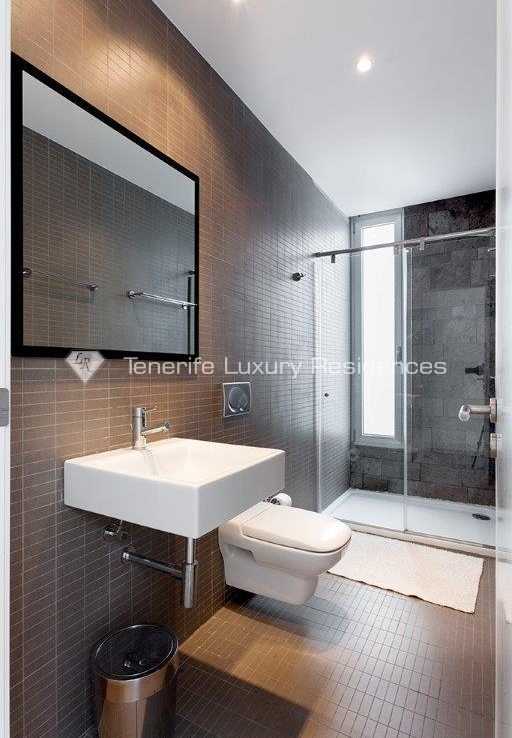 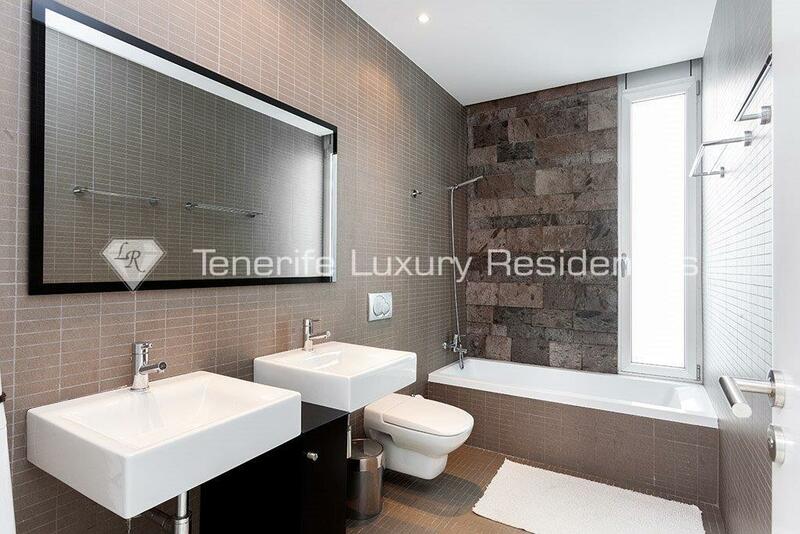 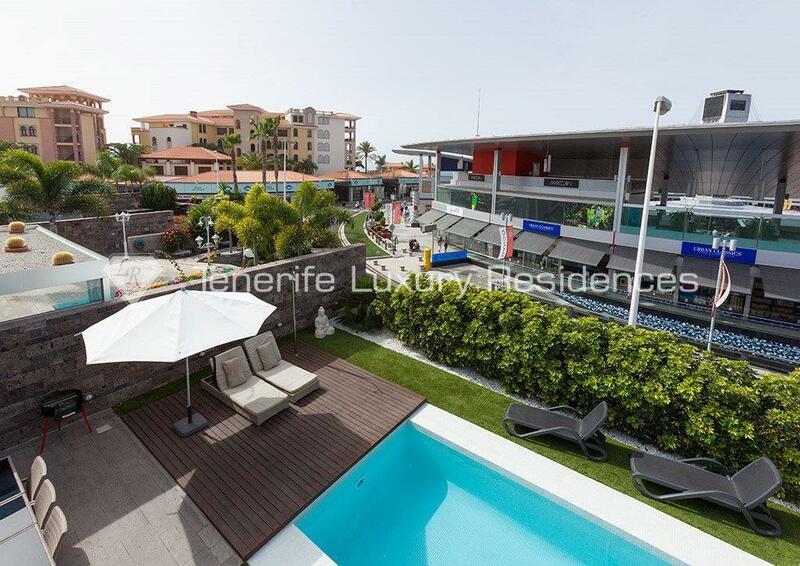 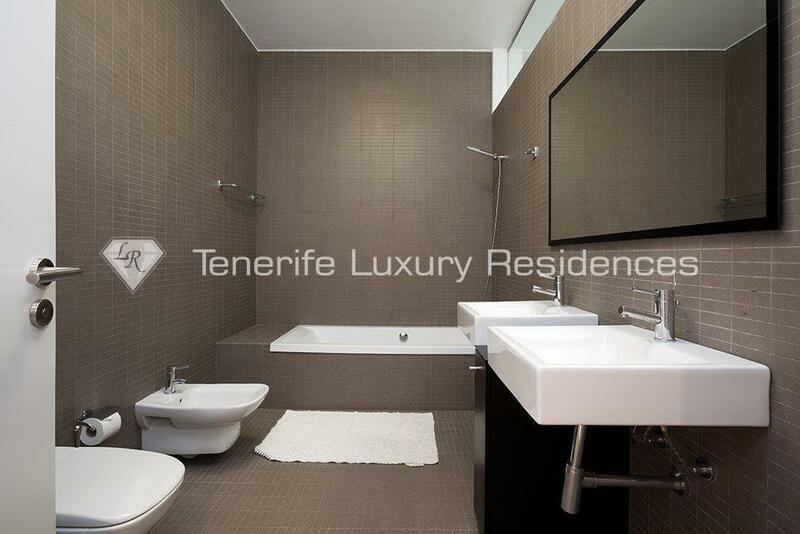 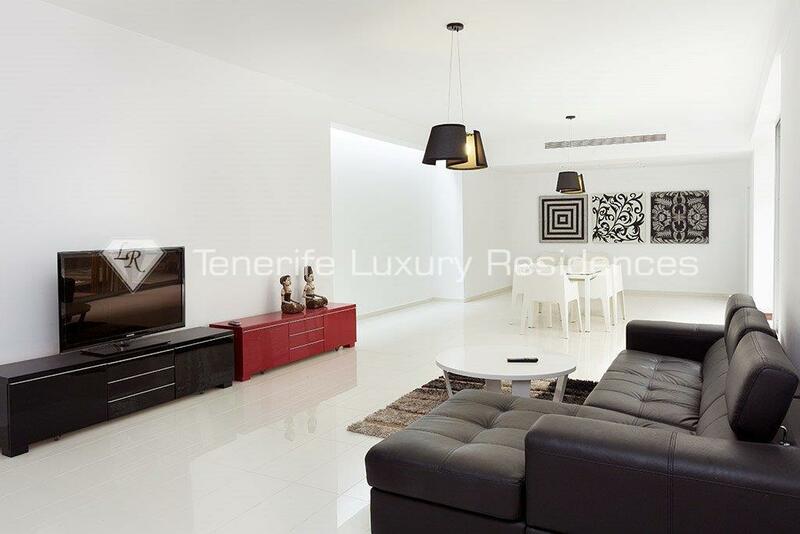 Habitats del Duque is a luxury and private complex located in the heart of Costa Adeje. 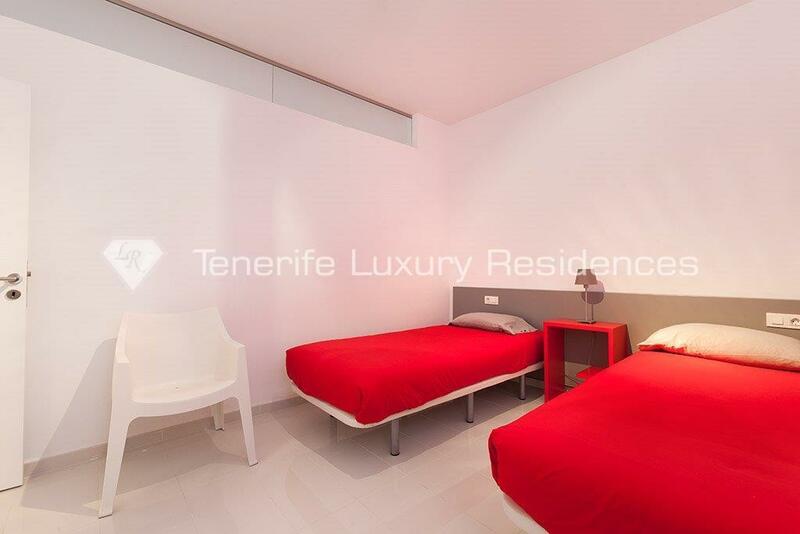 It´s only 400 meters away from the beautiful beach el Duque and next to the famous shopping center Plaza del Duque. 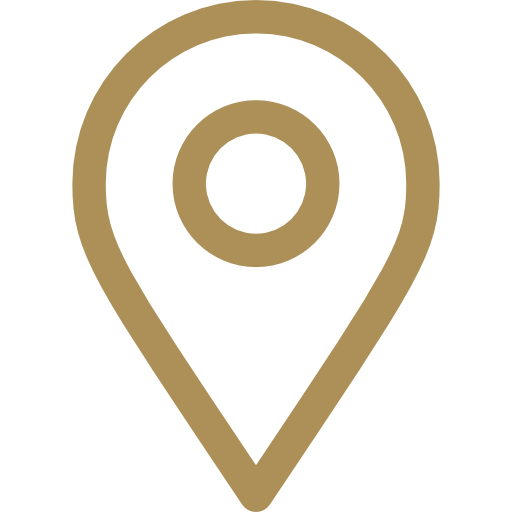 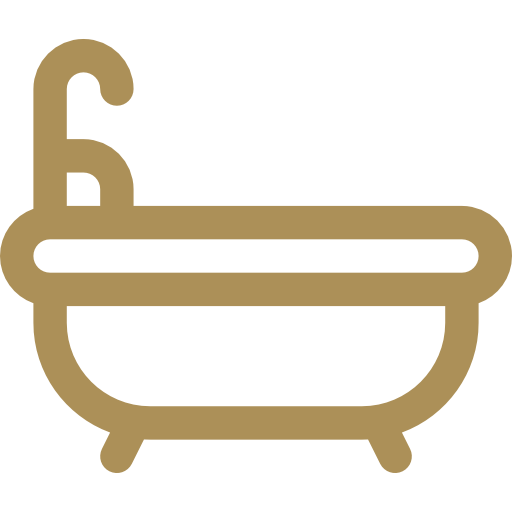 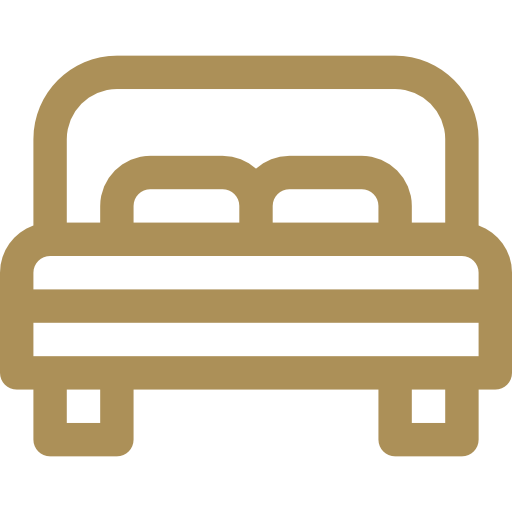 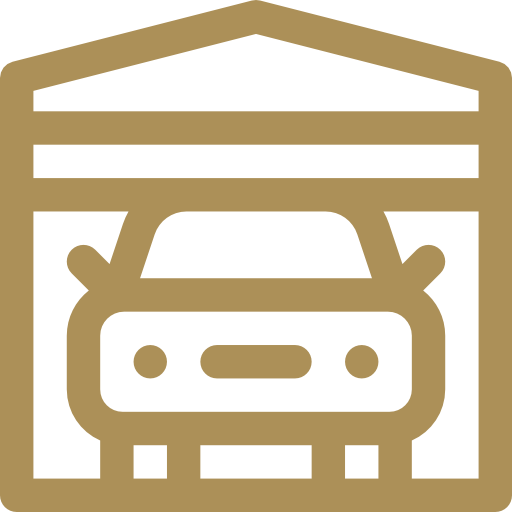 You can find there an endless number of shops with luxury items, reastaurants, pharmacy, restoration area of the highest quality, massage and spa centers, and also 24h medical center. 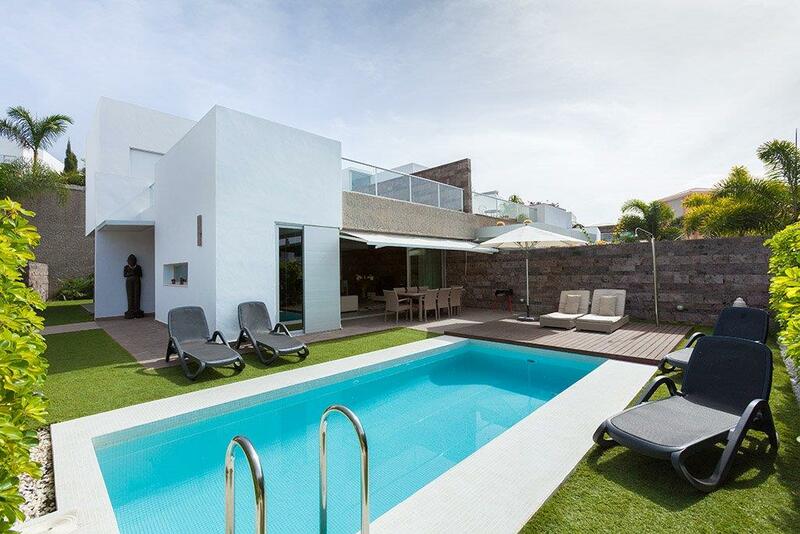 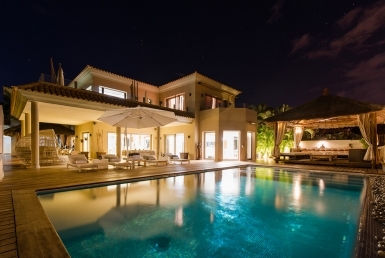 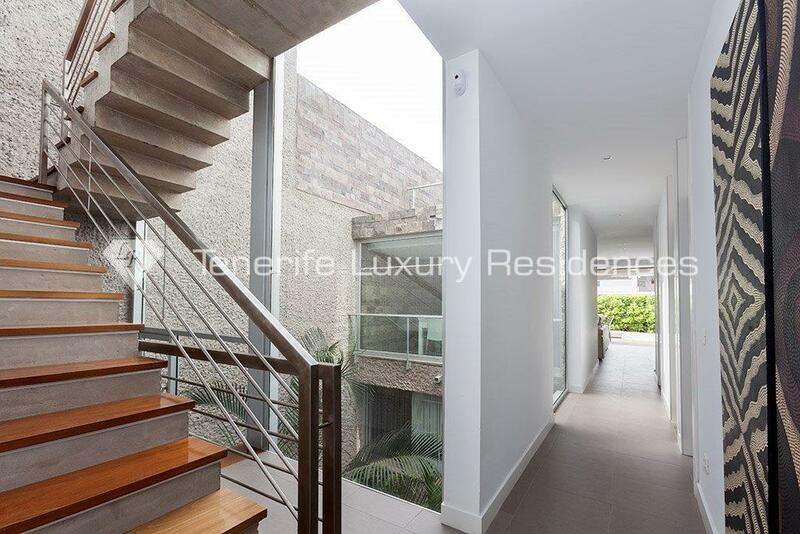 This charming villa is spread over 3 floors; conected by an elevator and also a staircase. 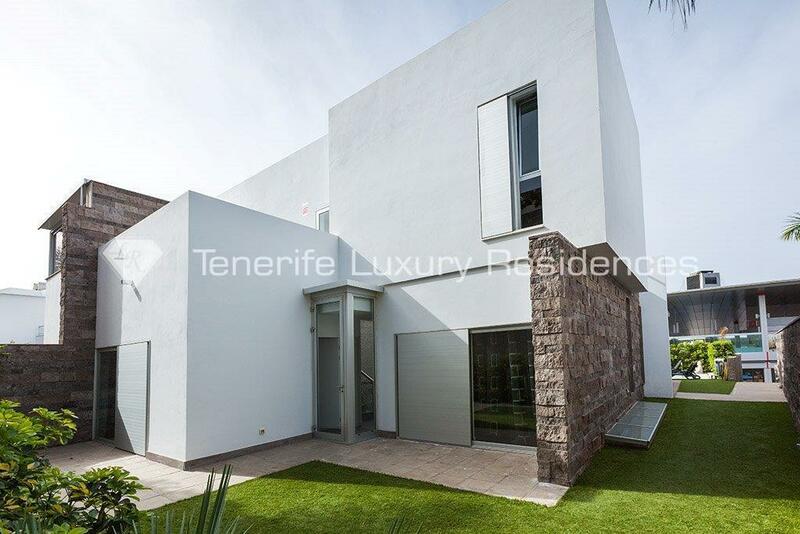 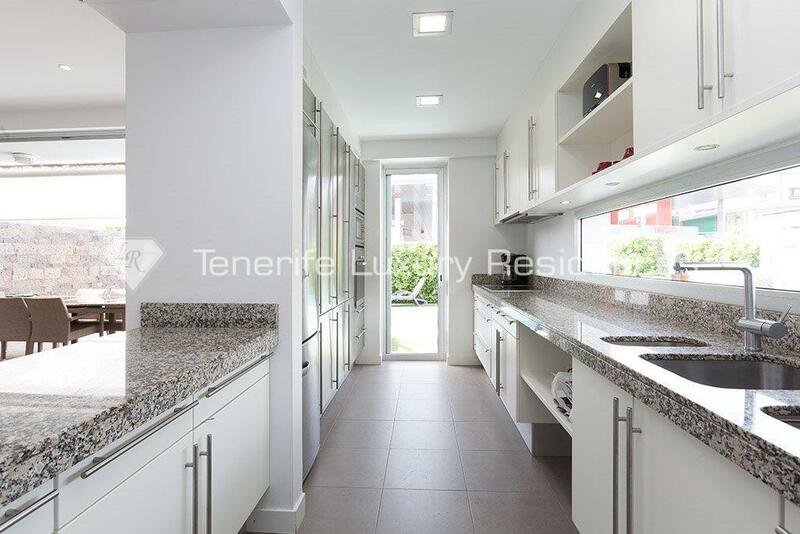 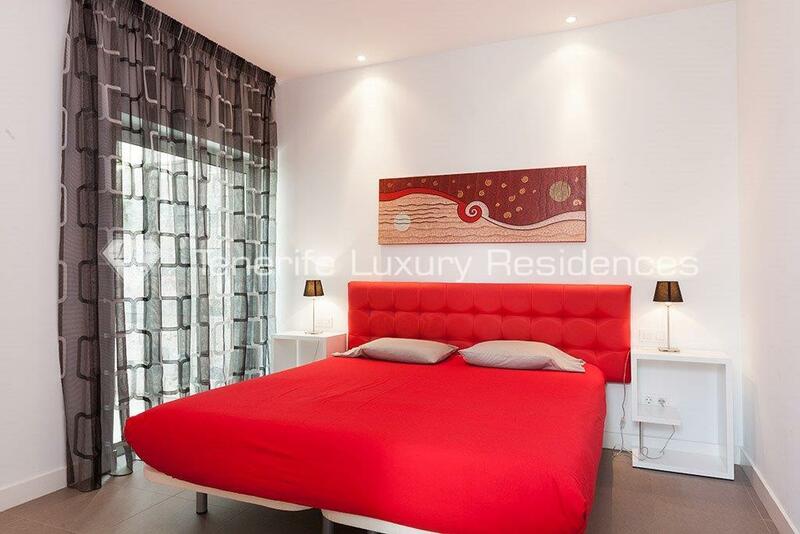 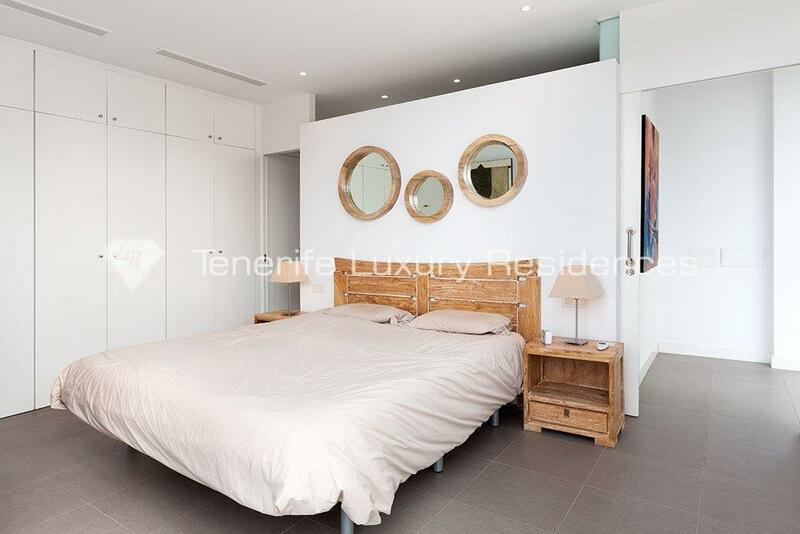 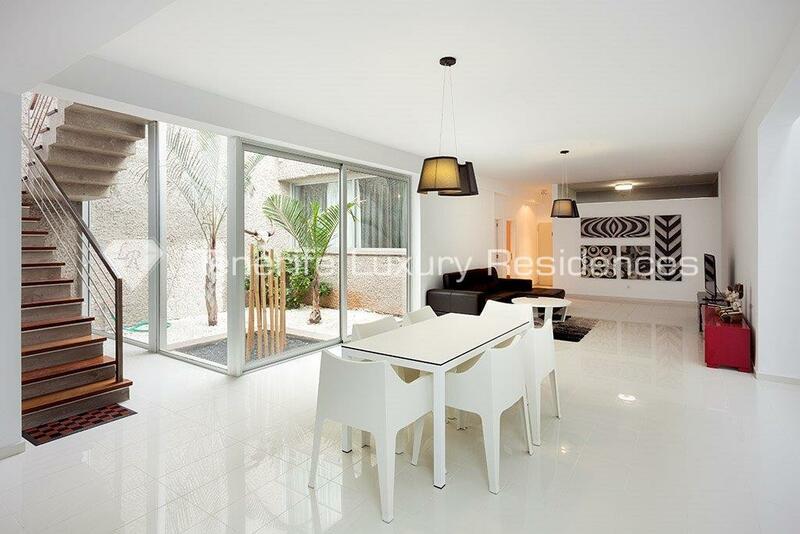 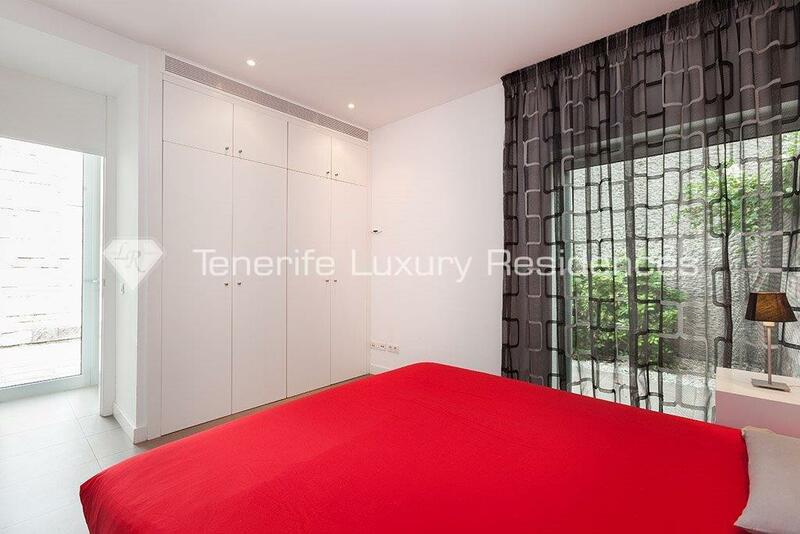 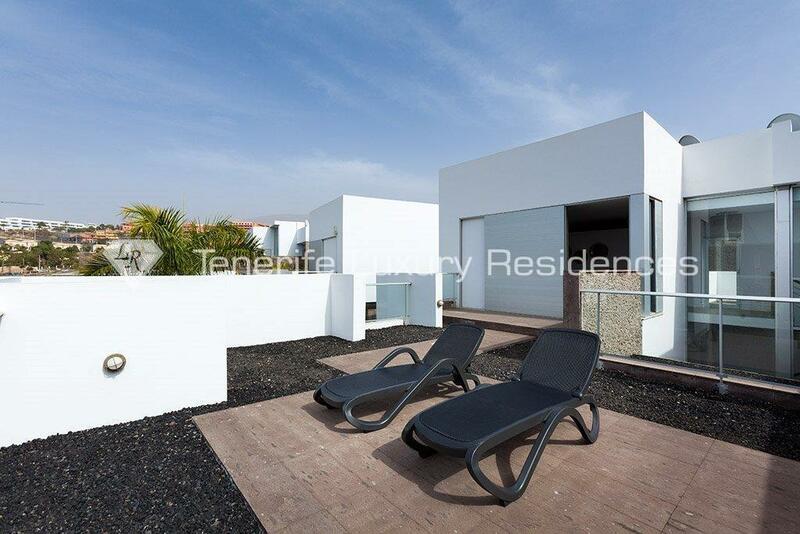 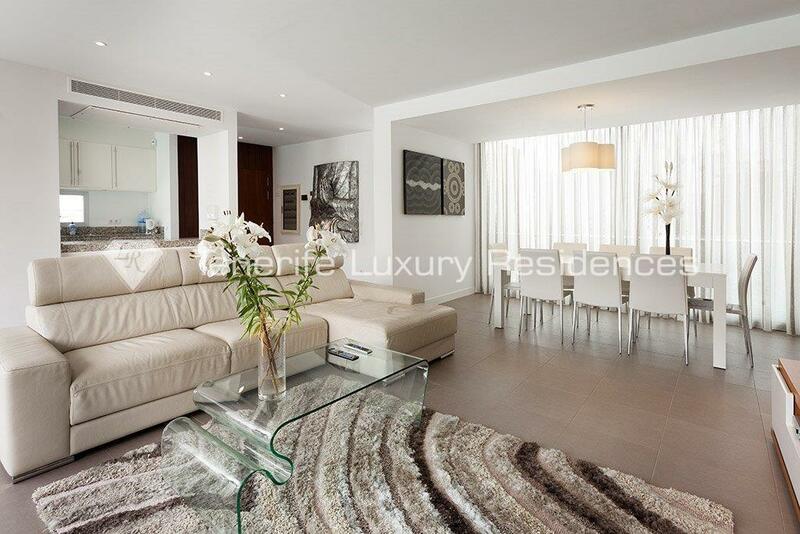 Consists of five bedrooms and five bathrooms, two spacious living rooms, fully equipped modern kitchen and sunny terraces. 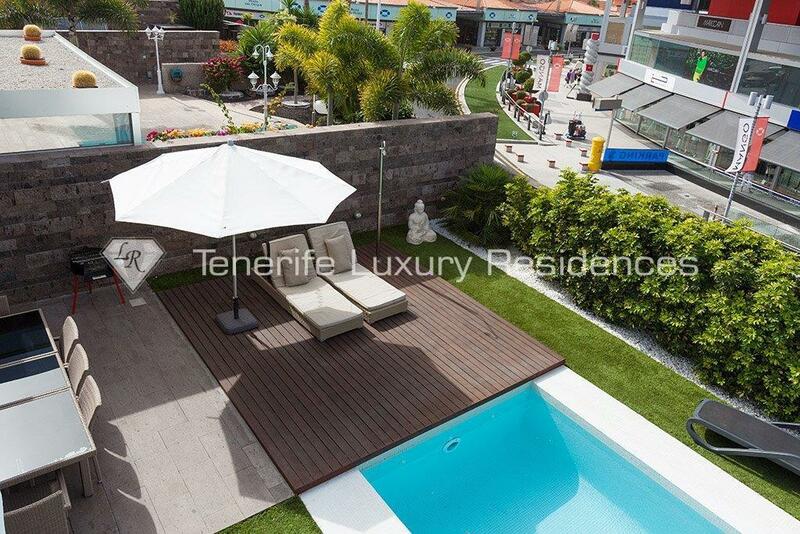 Finally, in the garden you can find fantastic relaxing area with private swimming pool and sunbeds. 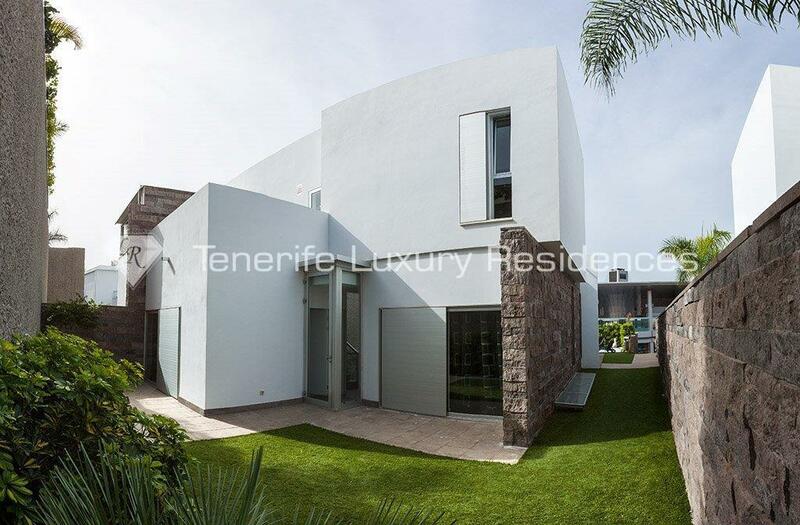 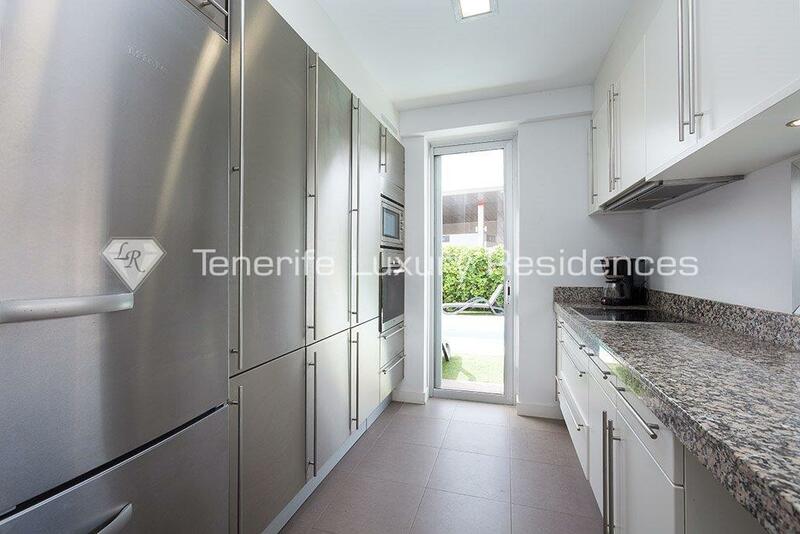 There is an elevator that connects the three floors, air conditioning system, alarm, built-in wardrobes, internet and satellite, private heated pool and automatic irrigation in the garden. 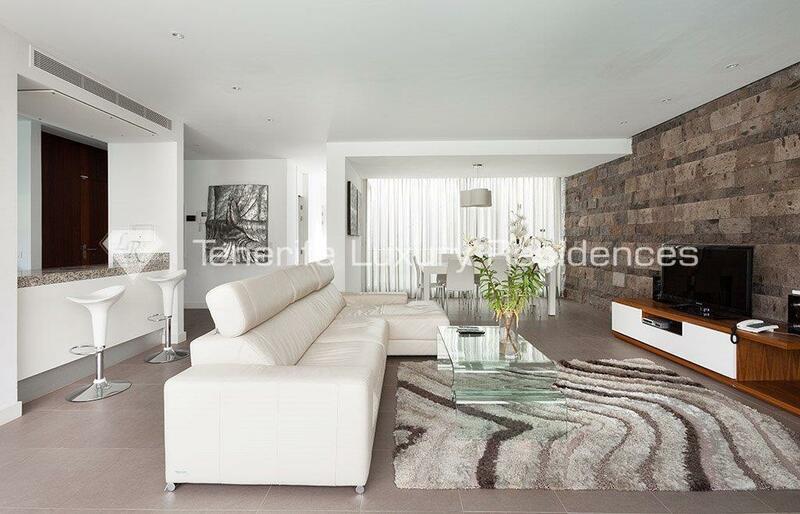 You will absolutely love modern interiors of this villa and large space for all the whole family. 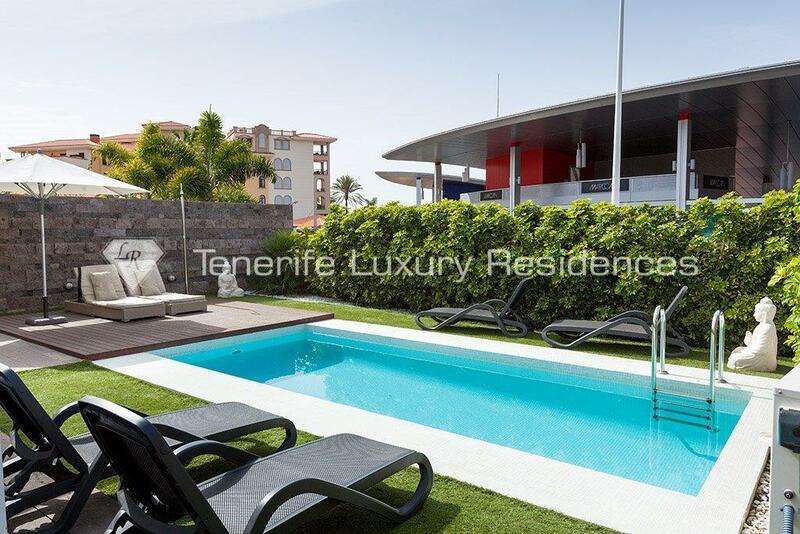 It has everything to be also the best investment option for a relaxing life style. 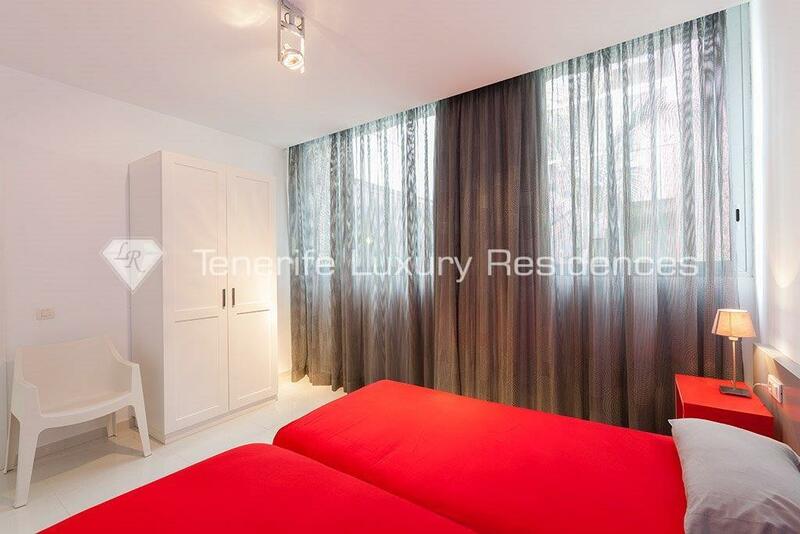 It´s large, full of comfort, spacious and very luminous. 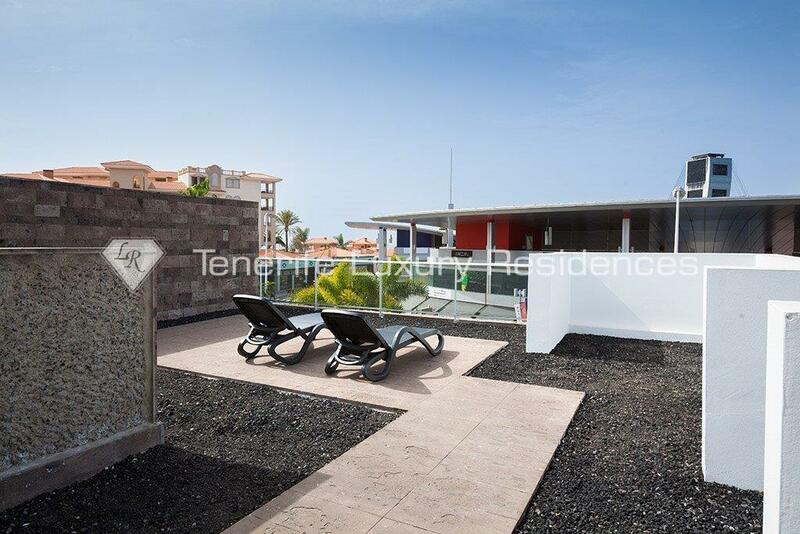 It has plenty of green areas, private pool, solarium and rooftop for relaxing moments.